SLC Utah Man Harassed, Abused, Had "Die Fag’ Carved Into His Arm, and Forced To Drink Bleach. Police Have No Leads. 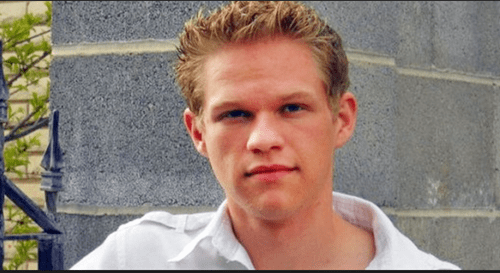 Home/Featured/SLC Utah Man Harassed, Abused, Had “Die Fag’ Carved Into His Arm, and Forced To Drink Bleach. Police Have No Leads. SLC Utah Man Harassed, Abused, Had “Die Fag’ Carved Into His Arm, and Forced To Drink Bleach. Police Have No Leads. A young Salt Lake City, Utah man was robbed, had “Die Fag” carved into his arm with a knife, and was forced to drink bleach on a Saturday night in late April, and it doesn’t stop there. Five days later, the words “Die Fag” were spray-painted on his and his family’s house. Rick Jones, 22 stayed late to finish up the paperwork at the Grand Central Station Pizzeria in Delta, Utah.that his family owns and he manages. He woke up again as medical teams were considering life-flighting him to Salt Lake City, but he regained consciousness. Rick had lacerations — the words “Die Fag” cut into his arm — and a concussion. They attended to his wounds, held him overnight and released him. The following Thursday morning, April 30, Jones and his family woke up to the same “Die Fag” words spray-painted on their garage door and the weekend of the Utah Pride Festival a Molotav cocktail thrown through his bedroom window and, “You’ll Die. Burn Fag” spray-painted on the house. And the Millard County Sheriff’s Office has no leads as to who is behind this horrible abuse and harassment of Rick Jones. On June 11 the Sheriff’s office sent out a press release appealing to the community to help find the perpetrators. Meanwhile Rick Jones and his family live in fear.